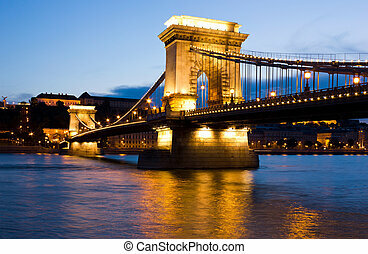 Chain bridge on danube river in budapest, hungary. 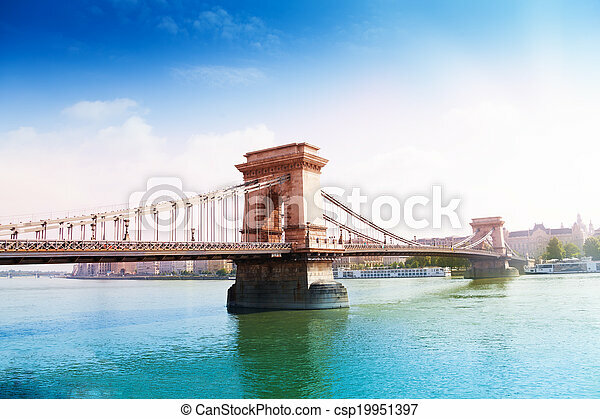 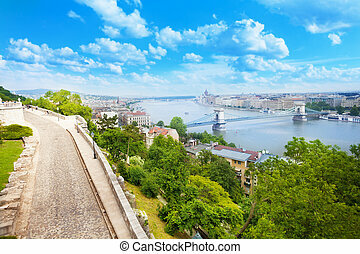 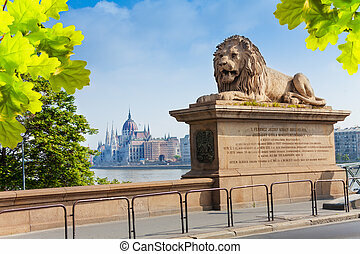 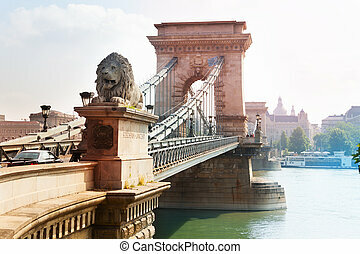 Chain bridge crossing danube river in summer time in budapest, hungary. 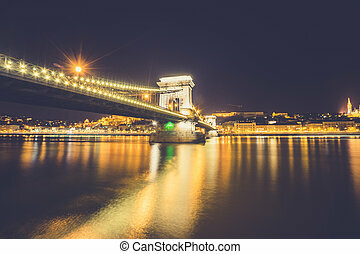 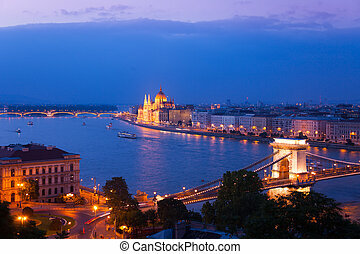 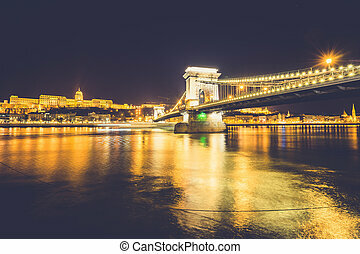 The famous landmark Széchenyi Chain Bridge on Danube river in Budapest, Hungary lit by the street lights in a peaceful summer evening. 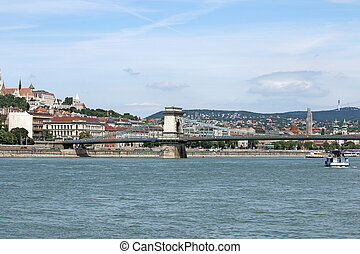 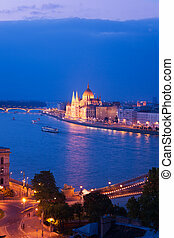 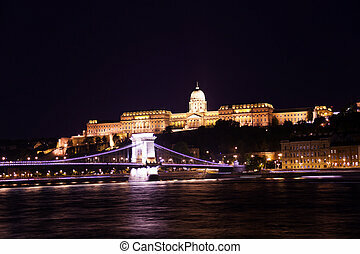 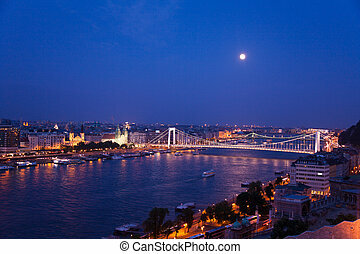 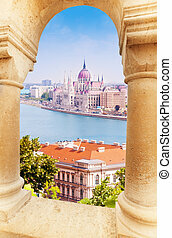 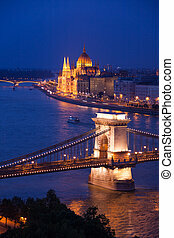 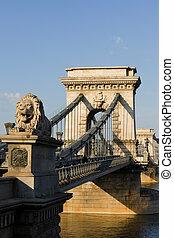 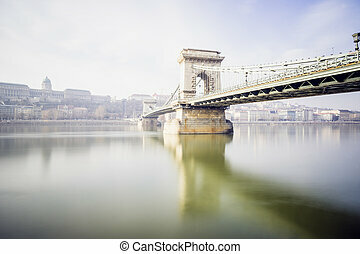 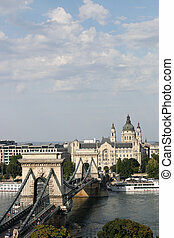 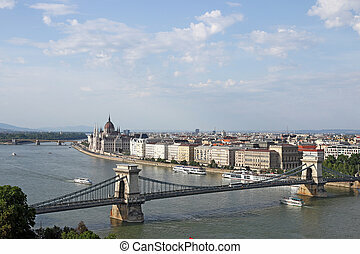 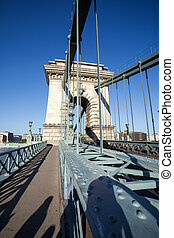 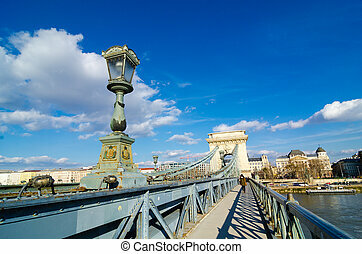 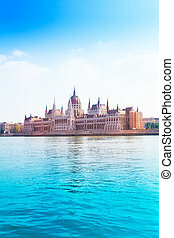 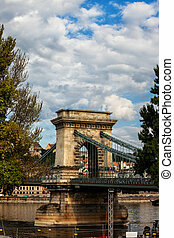 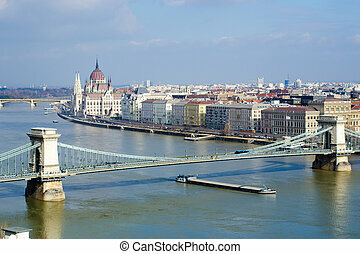 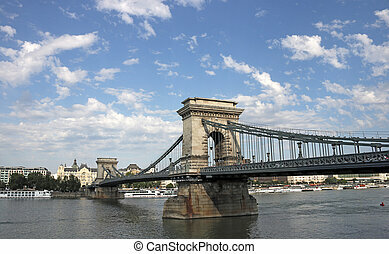 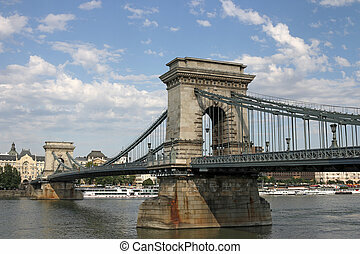 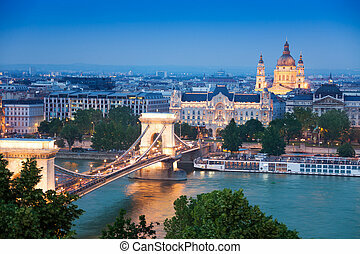 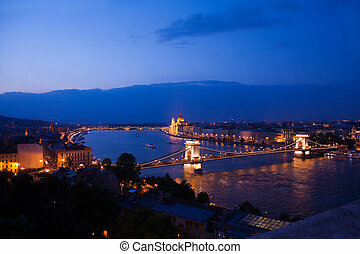 Chain Bridge on Danube river in Budapest city, Hungary.